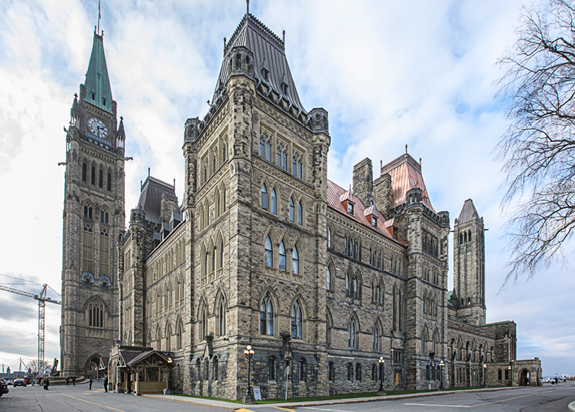 The Centre Block is a Classified Federal Heritage Building and arguably the most important example of heritage architecture in Canada. It is an example of Beaux Arts design methodology, applied to a Gothic design vocabulary, and its character is derived from the relationship between Beaux Arts and Gothic. Built between 1916 and 1927, it has always maintained its character defining copper mansard roofs, cresting, and decorative elements. 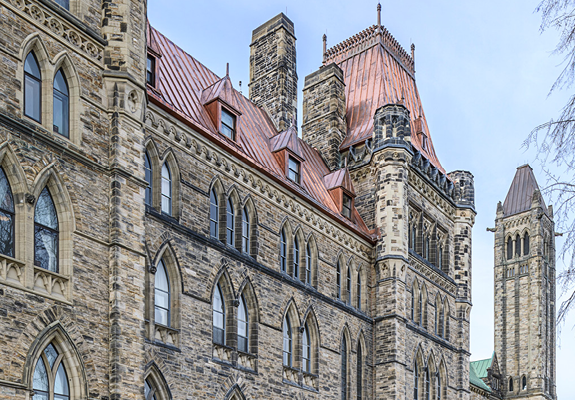 As part of the government’s Long Term Vision Plan for the Parliamentary precinct, EVOQ was mandated to restore the East Pavilion, replacing the copper roof and restoring the stone masonry based on the highest standards of conservation. 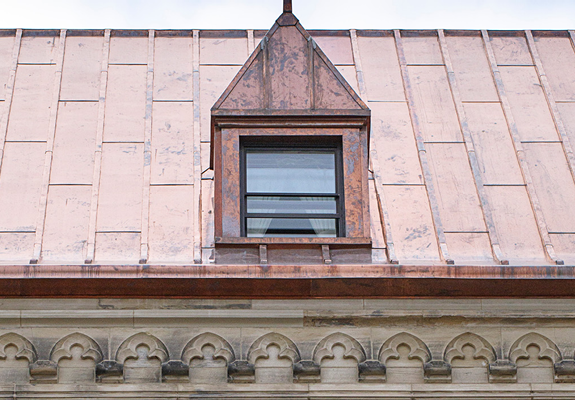 A major component of the East Pavilion Rehabilitation Project (2012-2016) was to replace the existing copper batten roof, dormers, and all ornamental copper cresting, including finials which had either reached the end of their life cycle or were missing. Each component was replicated in kind with the original design and construction, honoring the heritage value of the building fabric. Where necessary, minor changes were incorporated into the design to improve the durability and decrease the risk of deterioration to the existing roof structure. 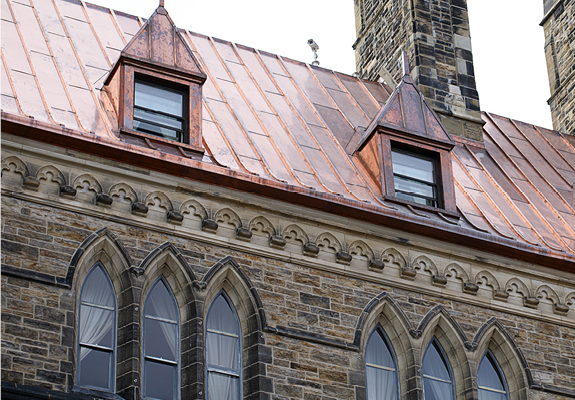 All heritage copper roofing was carried out by Heather and Little LTD. of Ottawa, ON. North American Copper in Architecture Award presented by the Copper Development Association Inc.